So close to the beach you might as well sleep on the sand! This 1 bedroom 1 bathroom property is only 1/2 a block from Venice Beach. It's cozy yet spacious. Perfect for a couple looking for a getaway in Venice Beach. Like most properties along the California coastline, this property is only equipped with heat and no A/C unit. Open up the windows for a great coastal breeze, and a bit of ocean air. 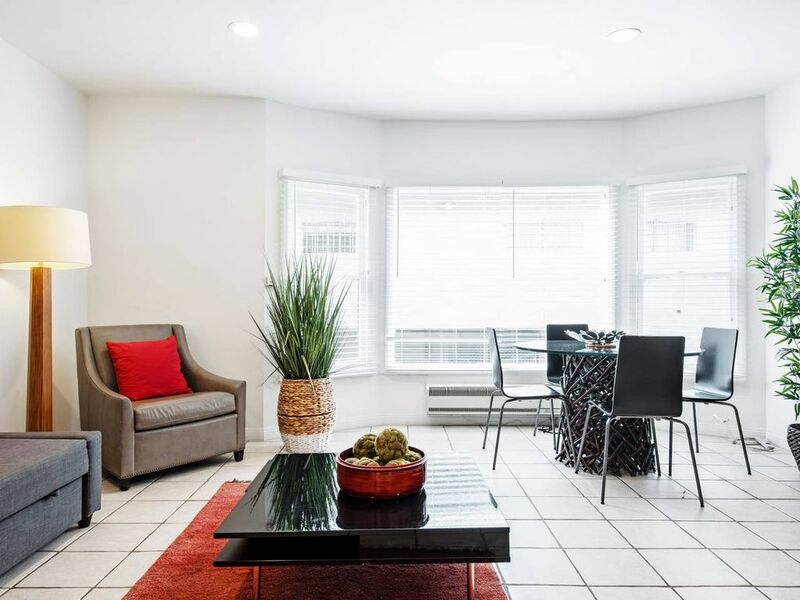 This property also comes with an assigned parking spot which is a convenient way for you to utilize your own vehicle or rental car and not have to worry about finding parking spaces. Feel free to contact us with any questions about this property! Come stay in this breezy-cozy loft and break away from the ordinary hotel room and make your home away from home extraordinary. A comfortable unit, easy access. Size was great, location was decent, and condition was just basic. It's one block up from the beach boardwalk, but there are zero views. The unit was nicely equipped with dishes, pillows and even beach accessories however must note that they only offer a single roll of toilet paper, paper towels and a tiny bar of soap. We had to go shopping. The place is located in a loud backstreet, the intoxicated homeless scream till late night, paper thin walls and windows, bright parking lot light shines into bedroom, water seeps into the kitchen when it rains, 5 remotes but no cable TV, not worth the money, forget that it's close to the beach unless you like hanging out with homeless. Great location, very clean, we would have liked more kitchen appliances and utensils for cooking. 11 Breeze is well placed being in the road behind the strip. It is however basic in its facilities and lacks air con and secure storage for valuables. It also lacks the security of being behind a hotel type reception and being on the ground floor can be noisy - especially at night when the feral population of Venice becomes fully awake. More generally there is little to see/do in Venice other than the beach and surfing, so if this is not your thing, skip. Perfect location, spacious and clean apt with all necessary amenities and very helpful staff.